Domestic Soigne Scientist Cat Poses On White Background Wall. 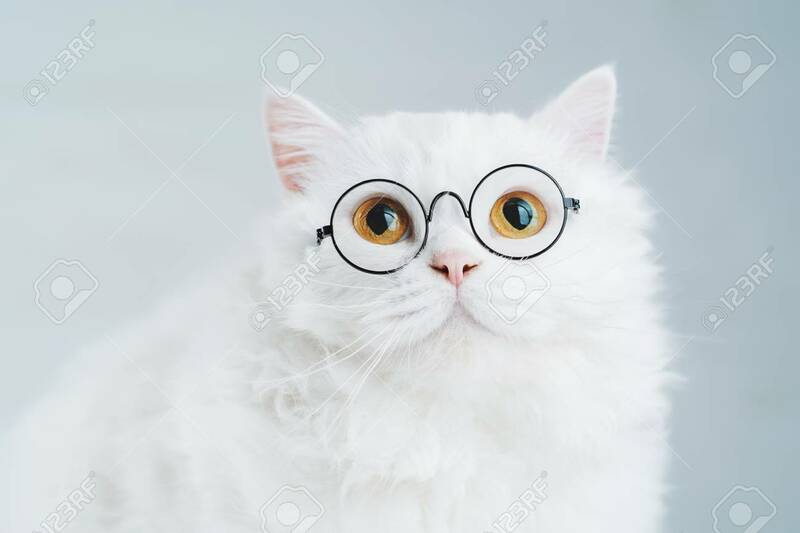 Close Portrait Of Fluffy Kitten In Transparent Round Glasses. Education, Science, Knowledge Concept Foto Royalty Free, Gravuras, Imagens E Banco De Fotografias. Image 113058774.